I was on Oretha Castle Haley Boulevard today and stopped in at the food court Roux Carré. They showcase emerging food‐preneurs and give the vendors food service and retail training, back-office assistance, small business coaching, as well as entrepreneurial wrap-around support from Good Work Network. 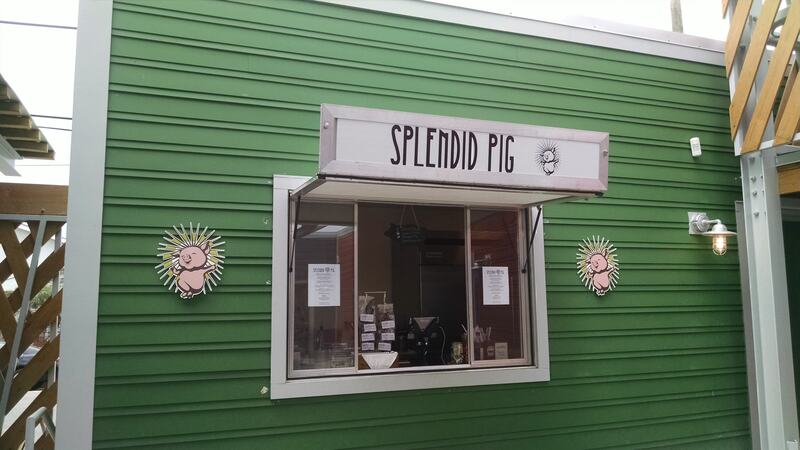 The current venders are Johnny’s Jamaican Grill, The Pupusa Lady, Estralita’s Express, the Juice Box (run by the young people of the Youth Empowerment Project) and, finally, the Splendid Pig. I went for the pig, of course. I had the Cochon de Lait Poboy. The pork was plentiful and flavorful. The pickled turnip threw me for a little bit of a loop but, over all it was a good and messy poboy. It came with creole potato hash that was also very tasty. Their fresh squeezed lemonade was awesome- nice and tart! I ordered seconds for a $1! The food court is clean and inviting although only open 11 until 4 Sunday through Thursday. They have later hours on Friday and Saturday. If you’re looking to feel good about eating out, supporting these food‐preneurs is a good way to do it. I enjoy the good food and location of Joey K’s on Magazine Street. I’ve reviewed it before (see – May 27, 2010). This last visit showed me that they still cook good food and still hire great and friendly people to work there. 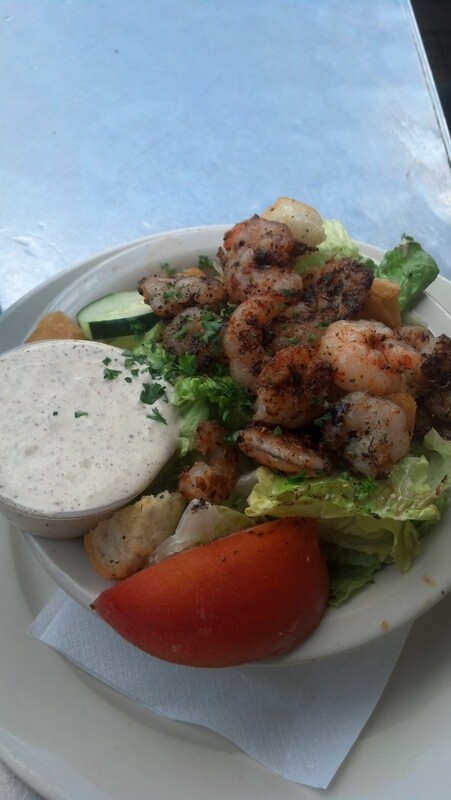 Michelle had the grilled shrimp remoulade salad. The shrimp were small but delicious and the remoulade was excellent. As per usual, I didn’t bother with tasting the green stuff that came with it. I had the fried shrimp poboy. It was piled high with shrimp and I got it dressed. I also got the sweet potato fries to go with it. Quite tasty and well worth every penny. I definitely recommend this place for lunch and for residents and tourists alike. I picked up a friend from the airport who had only had airport food since 6am. She was hungry for some good food, so we stopped by Crabby Jack’s (428 Jefferson Hwy-right over the parish line) for lunch around 2:30pm. I rank this as my favorite po-boy place in the Greater New Orleans Area. While the folks at the counter were a little more self-involved (they were trash talking a previous customer while we stood there waiting to order) and the ambience even more pared down than on previous visits (no more cooler of Barq’s! ), the po-boys were still top notch. I got the fried green tomato/shrimp remoulade po-boy. Piled high with shrimp and a delicious sauce, though a bit skimpy on the fried green tomatoes (they had twice as much red tomato on my dressed po-boy). My lunch companion had the slow roasted duck and, even though she claimed at the start she wasn’t going to finish it, she ate every bite and most of the onion rings! The eats are priced nice and the food is great. Just keep in mind the place closes at 3pm most weekdays (only open until 5pm on Thursday and Friday) and is closed on Sunday. 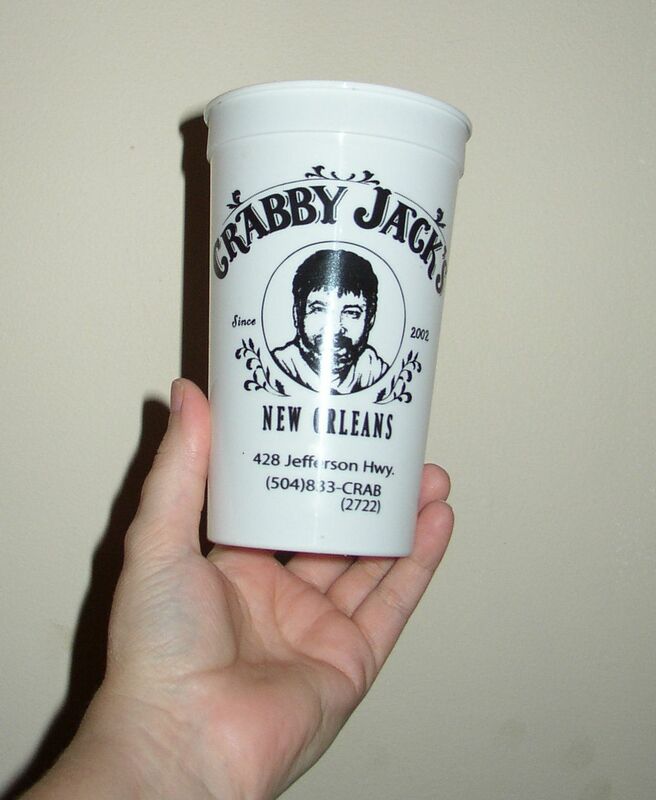 Located just over the line into Jefferson Parish, next to the Louisiana Seafood Company is Crabby Jacks. Serving some of the best po-boys in town, the place is best visited a little before or a little after lunch time. Most of the seating is communal and, if you are lucky, like we were today, your tablemates might share some of their sweet potato chips with you. The walls are covered with Dr. Bob’s “Be Nice or Leave” art and that sets the tone for the place. 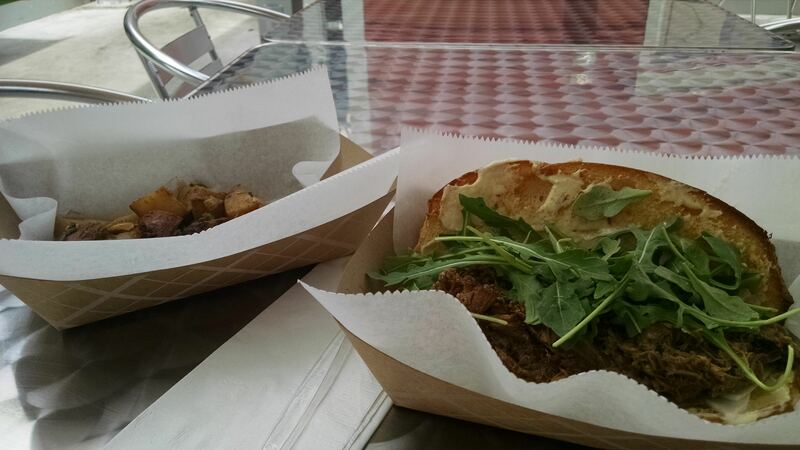 I had the slow roasted duck po-boy–very flavorful duck made for a delicious mess. Nine napkins! My companions enjoyed the fried shrimp po-boy that was so piled high of perfectly cooked shrimp that the other half is another meal. At the corner of Tchoupitoulas and Poydras is Mother’s Restaurant. They claim to have the world’s best baked ham. Now, I’m a salt fanatic and have about 19 different varieties of salt in my house. So when I say the ham at Mother’s is salty, I know what I’m talking about. If you do decide to go for the ham, get it on a Ferdi (ham, roast beef, debris and gravy poboy) and the salt will be balanced out. Ham, notwithstanding, their Debris Poboy is absolutely fabulous. In a city that rates poboys not by stars but by the number of napkins it takes to wipe off your chin, this place ranks in the top 5. Additionally, they dress their poboy with cabbage instead of lettuce and that adds a crisp, clean crunch to each bite. Don’t be discouraged if there is a line out the door. They turn the tables very quickly and you’ll soon be inside with a menu of your own. The new line winds past the food prep area, so you can see the various sides and other offerings before you move to the register to place your order.